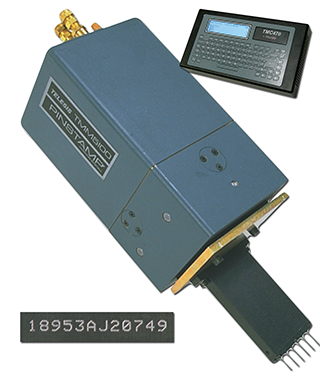 Mark up to six characters-per-second with the PINSTAMP® TMM5100/470 Multiple Pin Marking System. Its lightweight, compact design and minimal footprint are ideal for hand-held, stand-alone or completely integrated, factory automated operations. A variety of pin sizes/configurations are available to mark character heights from .04" - .63" (1mm - 16mm) on a wide range of materials.